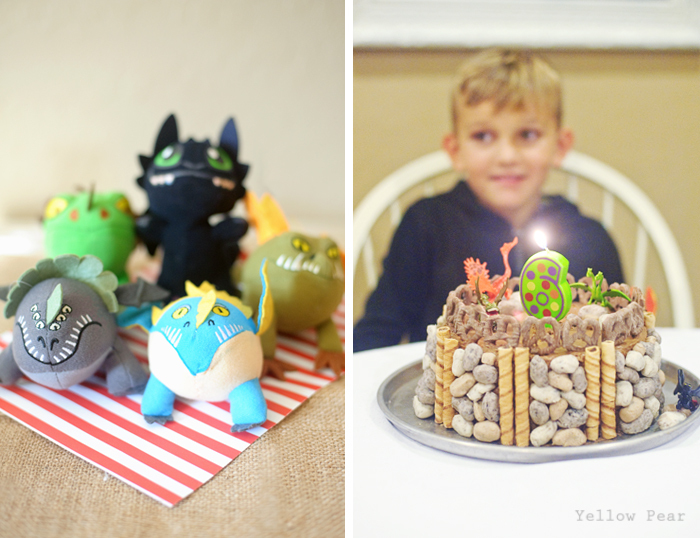 Q decided on a How to Train Your Dragon Party. He loves the movies (well we all do), and so he's been really excited about planning the whole thing. 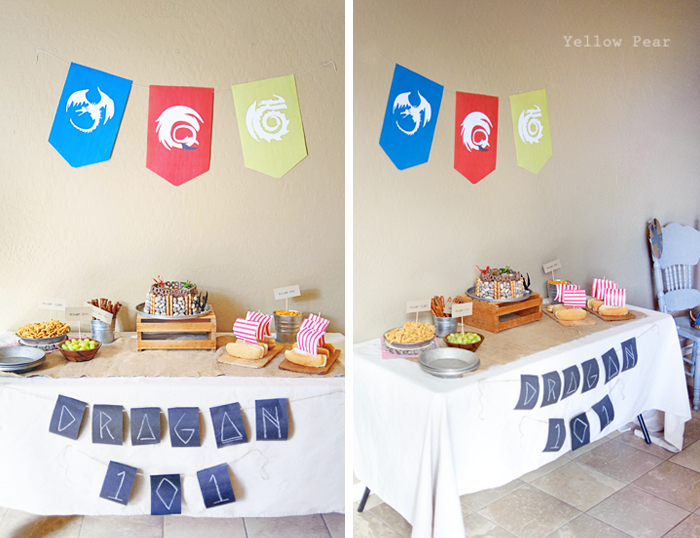 I love themed parties, but I also like to be pretty simple and frugal and use what I have or can make. 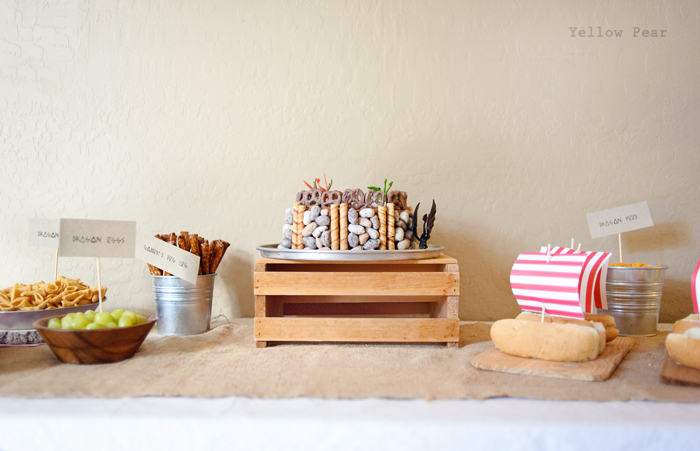 I like to focus most of my efforts on the party activities and some reasonable food items (not too much candy). I found these awesome banners and used them for decoration, gathered up some leftover burlap and a muslin drop cloth for a table cloth and some rustic bowls and containers for the food. I also used some chalkboard paper for the Dragon 101 sign. That stuff is so versatile and fun, I quite enjoy having it around. The cake turned out much better than I had anticipated. Q and I decided on a dragon arena and I found a tutorial for fudge rocks here. They were super simple and turned out so great and realistic. I was just going to add a few, but they looked so awesome, I decided to add more and stagger them with the pirouette "logs". 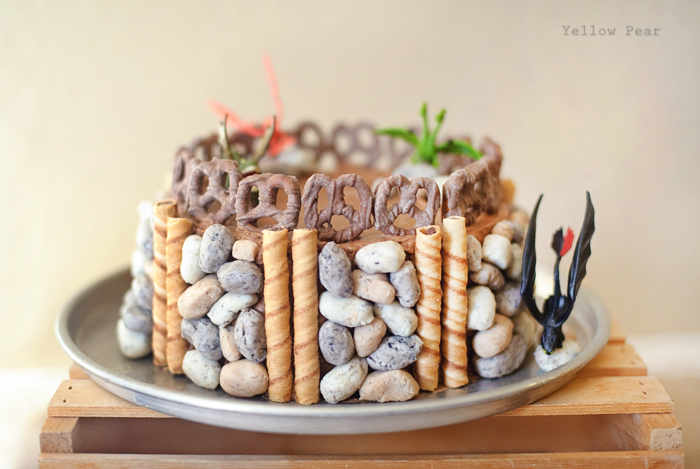 We used chocolate covered pretzels for a fence and some yummy chocolate butter cream frosting for the dirt. 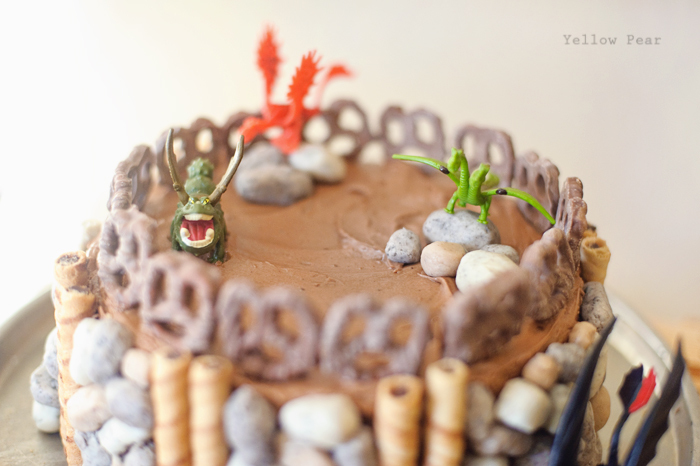 I grabbed a few How to Train Your Dragon figurines from Target for the top of the cake. 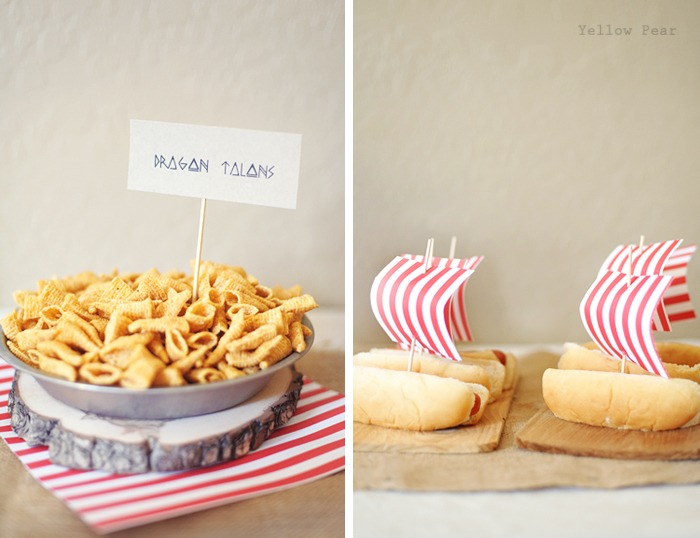 We served bugles (Dragon Talons), grapes (Dragon Eggs), pretzel rods (Gobber's Peg Leg), hot dog viking ships and goldfish (Dragon Feed) for dinner. They ate dinner in old tin pie plates that I've collected. For invites, I just printed on brown kraft paper, burned the edges and rolled them into scrolls. I love how they turned out and how simple they were...also now I am wishing I burned the edges of the food labels (curses). 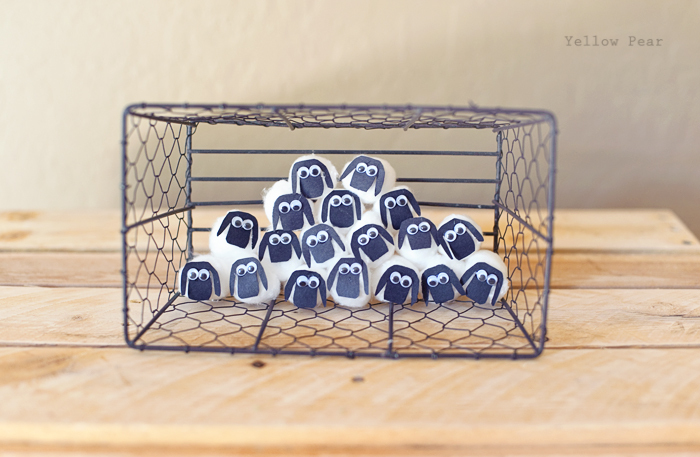 I really wanted to incorporate the sheep into this party, because they are hilarious in the movies. 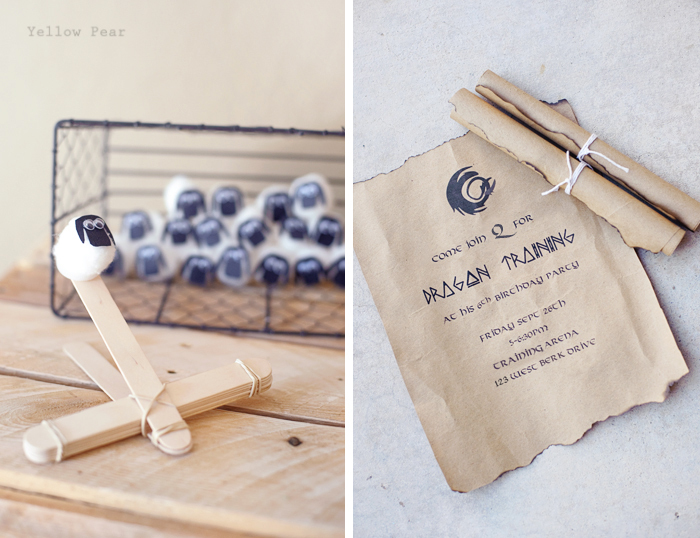 I found this tutorial for a simple catapult and then thought and thought about how I could make sheep. I finally just used cotton balls, cut out faces and ears from black paper and used googly eyes. They turned out great! So for one of our activities, we handed each kid their own catapult and two sheep (we threw two black sheep in the mix for fun). 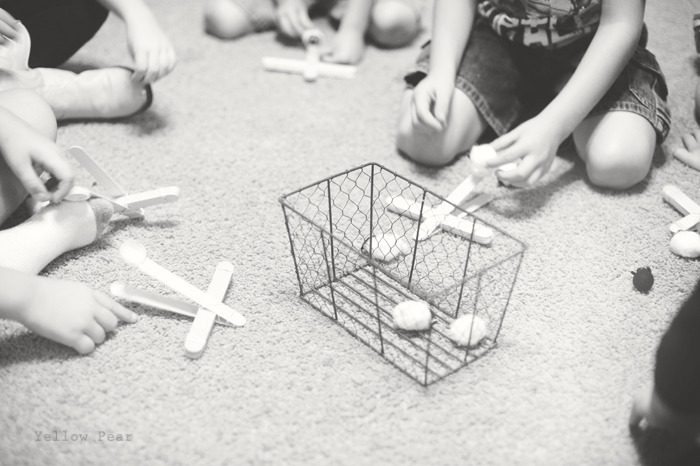 They had to try to catapult their sheep into the basket. You can't see in the picture but the sheep sit in a water bottle cap that's glued to the top of the catapult. 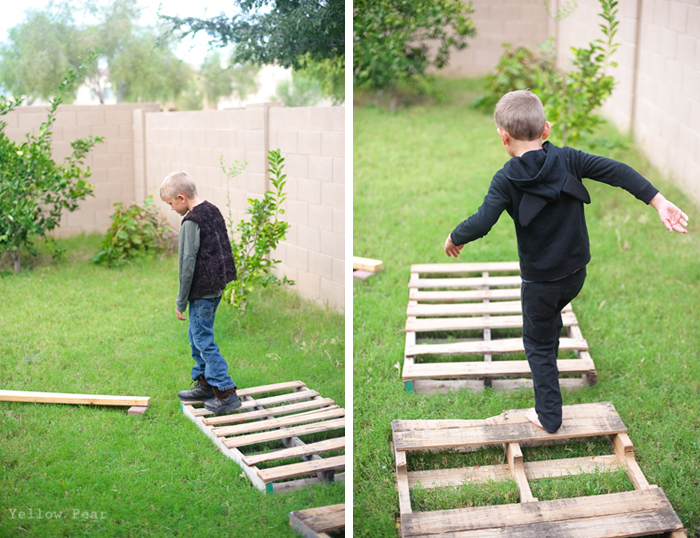 We had a simple obstacle course outside and then they had to find a dragon egg hidden in the yard. Mr. C and Dennis dressed up in their Viking gear from last Halloween and directed the activities. They were awesome helpers! Q dressed as Toothless but took off his wings and tail right away. 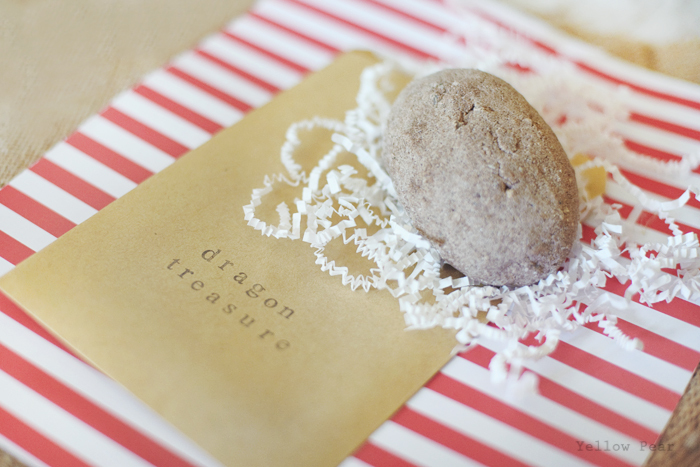 I was going to send the dragon eggs home as favors, but we decided to break them open right then and there and it was so much fun! I am so glad we did. The kids' faces were priceless. We made them following this tutorial. I bought the small plastic dragons at Michaels with a coupon. 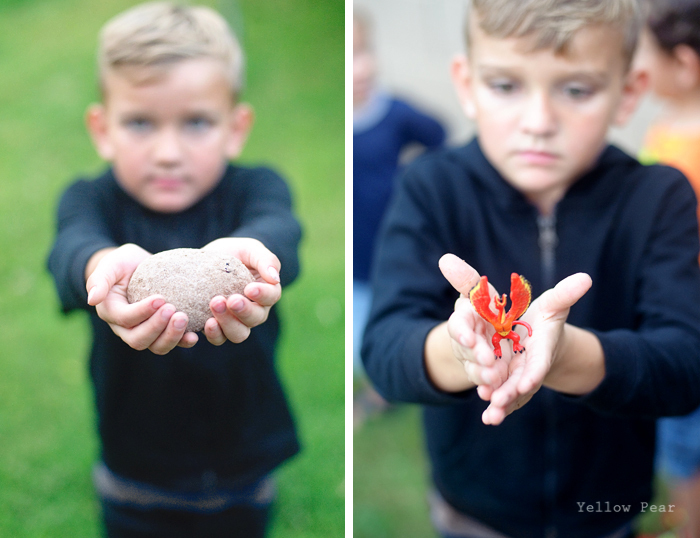 To break them open, the kids had to throw them at the block wall a few times and then kind of dig the dragons out. They LOVED it. 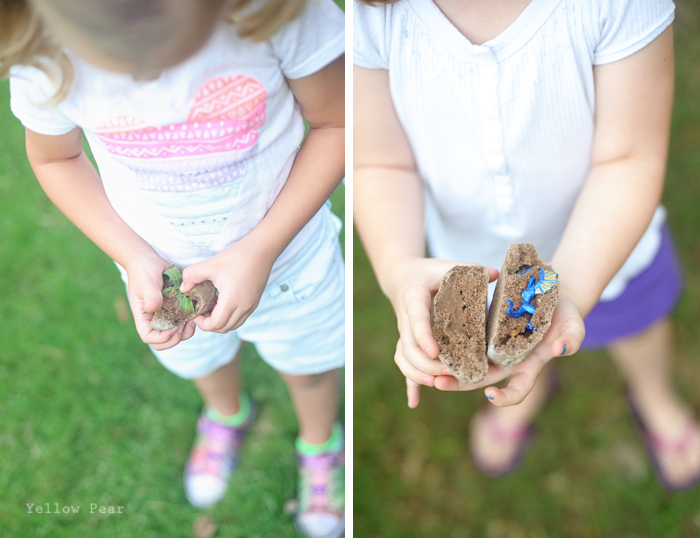 So after completing a dragon training obstacle course for agility, hatching a dragon egg (patience) and testing their catapult aim (precision), they each earned their own stuffed dragon (that I found on eBay for a great price). Which they loved! We sent them home with their new pet dragon, the dragon they hatched from an egg, their catapult and two sheep, a cardboard shield and some gummy fish (dragon food). Q helped me every step of the way with the planning and production...he was so very excited about it. I think I created a party monster! :) He also got his "6" candle that his little heart desired. Happy Birthday to my creative, school-loving, loud, energetic, full-of-life six year old! So cute Erika! Makes me want to have a party. What a great party, Navy had a blast!! The sheep are adorable, they are still playing with it!